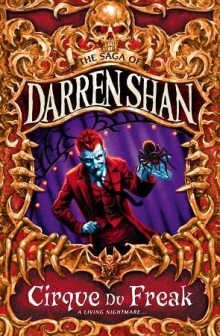 Jaygo has recently started reading Darren Shan Vampire series. I am pleased he is reading even if it is vampire novels. In fact as a secret vampire novel reader myself I now have even more that we can chat about together. I am amazed at the differences between vampires and their habits from one book to the next. Generally the only thing in common is the teeth, pointy, everything else is up to the individual writer. Vampires can be awake during the day, not have to drink fresh human blood, have babies, have pet werewolves, have rights. There are different grades of vampire, half vampire, some are even blue and purple. Some are nice most aren’t. At the end of the day or night so long as new vampire books keep being released Jay and I shall continue to indulge our peccadillo for vampire novels.